Get your hands on our signature full head clip-in human hair extension kit. Original Diva’s Diva in a Box 16″ (40cm length hair) consists of eight premium quality remy human hair extensions wefts that are virtually undetectable, light weight, natural feeling and simple to install and remove. Diva in a Box 16″ is an amazing product that is designed to convert short hair to long, thin hair to thick with instant results. As a clip-in hair extension kit, they are designed for periodic use and once you have finished, they can be removed and stored away which preserves the hair quality and avoids regular maintenance. 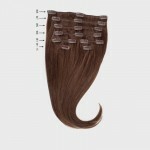 The product contains 8 rows of clip-on wefts all measured to the head shape. 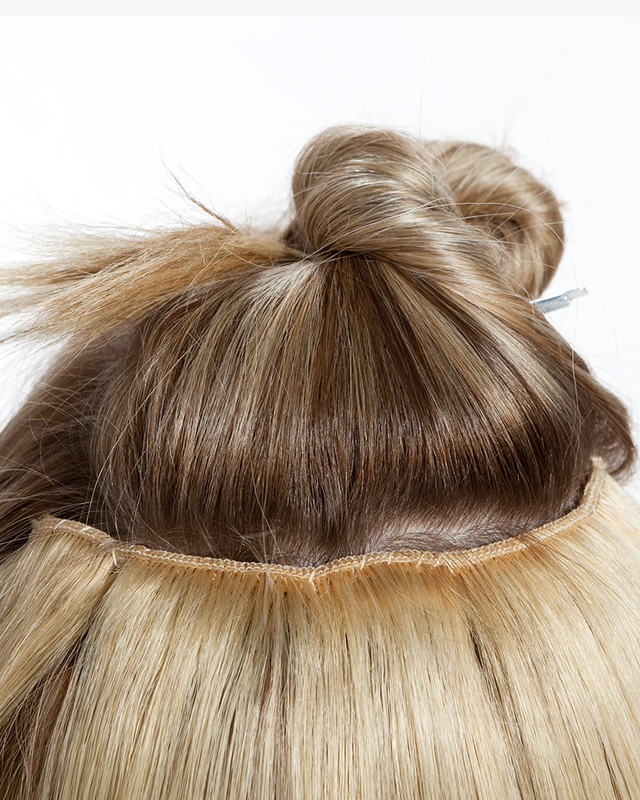 Four rows are placed at the back of your head and the remaining four have two on each side of your head. The Diva Box 16″ has 111g of actual human hair and each piece is 16″ (40cm) in length. 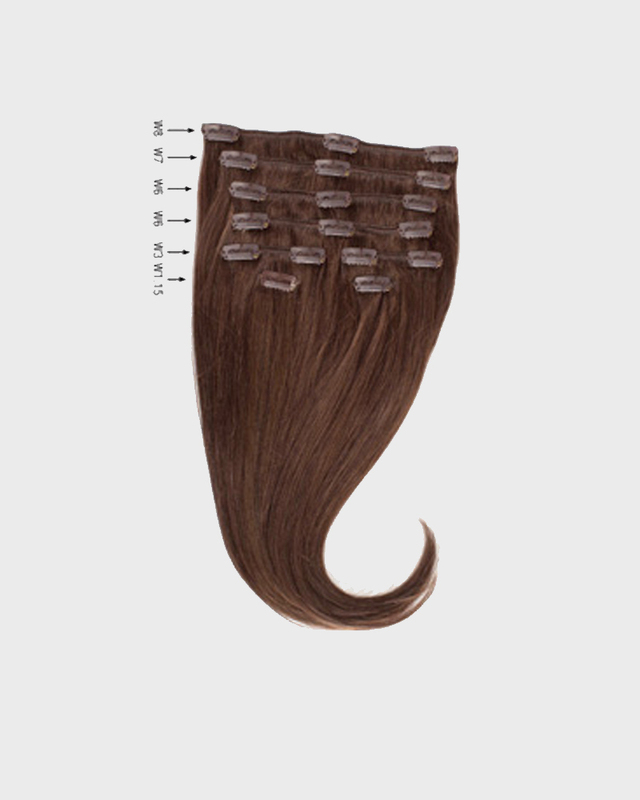 The 8 pieces included has the following widths: 1 x 8 inch, 1 x 7 inch, 2 x 6 inch, 2 x 3 inch and 2 x 1.15 inch to represent a full head of clip-in hair extensions. For additional length, we recommend you review Diva in a Box 20″ (50cm) and for less length Diva in a Box 12″ (30cm).